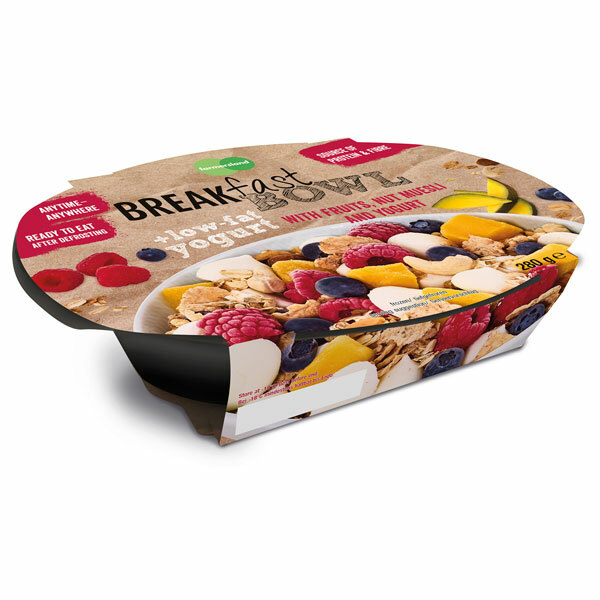 Breakfast Bowl with fruits, low-fat yogurt drops, cereals and delicious fruits (mango, raspberry, blueberry). 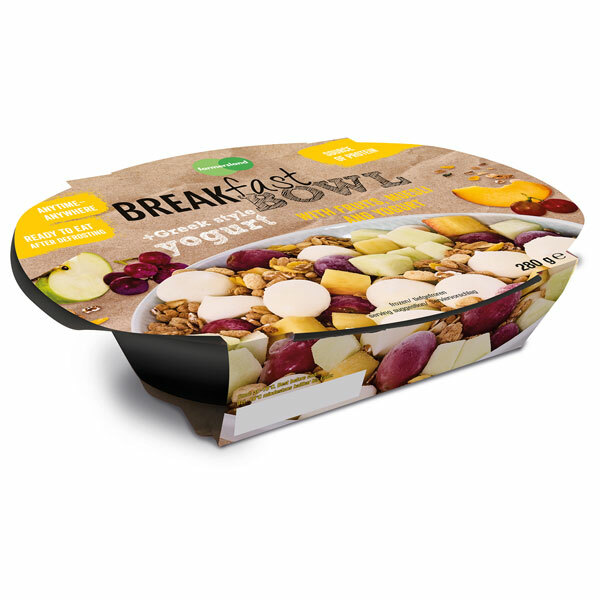 Breakfast Bowl with crunchy cereals, drops from greek yogurt and delicious fruits (apple, grapes, peach). 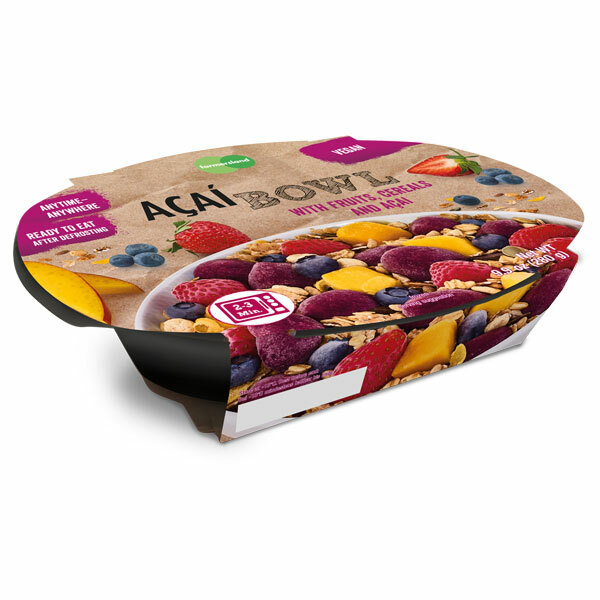 Breakfast Bowl with crunchy cereals, tasty açaí drops and delicious fruits (strawberry, mango, blueberry). 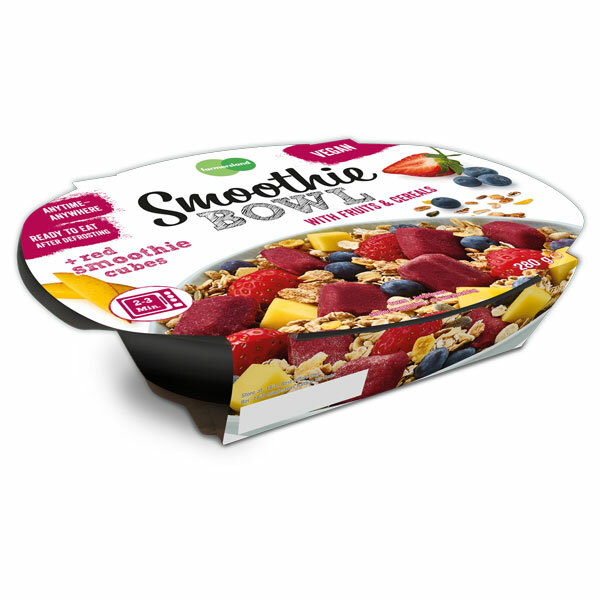 Smoothie Bowl with cereals, red smoothie cubes and a selection of pure fruits (strawberry, mango, blueberry). Smoothie Bowl with cereals, yellow smoothie cubes and a selection of tropical fruits (mango, melon, pineapple).